Beyond these key points, what are the major landmarks on our map of 2018 for driving XRP appreciation? I took a vacation before the SWELL conference. It seemed like a good idea for me to hike in the wilds and take in nature as the entire crypto and banking world came together in October to hear from Ripple. It provided some perspective, and I managed to visit around five or six parks in Minnesota, Canada & Michigan before I retreated back to civilization. In each of those parks, a map clearly pointed out the major landmarks and paths to get from one location to another. Do we have something like a park map for XRP and the year 2018? What does it look like? There should be a chalet at the trail-head where Ripple and its team are located, perhaps with a souvenir shop where I can buy autographed pictures of the crypto stars that comprise the team. Don't get hung up on xRapid announcements - they will be announced eventually, despite our preference as XRP investors to know everything immediately. It's amazing to watch my own and others' hunger for information on Discord, XRPChat and other forums, but let's be real; we know Ripple is the best at what it does, and we just want them to do the right thing when it comes to XRP. If that means delaying an announcement or two, then we are all (collectively) okay with that; we're just focused on XRP adoption, price appreciation, and market reaction. If you're new to XRP, it's probably wise that I stop and explain why xRapid is the solution of Ripple's that we're most interested in, despite the fact that they have truly remarkable technology for two other solutions. xRapid is the solution that XRP investors tend to be focused on because of the obvious reason - while the other two solutions can work with XRP, they do not require it. The only one of the three solutions that specifically requires XRP is the second one - xRapid. 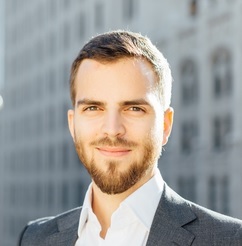 xRapid allows central banks, international banks, financial institutions, corporations, and other organizations to replace their Nostro account holdings with XRP.12 That's an oversimplification, but suffice it to say that using XRP is financially advantageous; it helps banks reduce their payment processing costs by 60% or more, and allows them to conduct real-time settlement of cross-border value transfer instead of relying on the current SWIFT payment rails that take multiple days. Ripple indicated that the xRapid pipeline is starting to fill up; the "household names" of the next two xRapid partnerships are still incoming, and the market anticipation is thick. As xRapid continues to make inroads into the banking and finance sector, there are already some who are predicting a massive wave of institutional demand for XRP to move value throughout the world. This demand for XRP to replace fiat account holdings in Nostro accounts has been studied and predicted, and as 2018 starts to confirm some of these academic predictions, don't be surprised to see a substantial amount of XRP appreciation be attributed to this use case-drive demand. XRP investors are curious about the xRapid solution - all parts of it. These are the specific points that are debated endlessly in online forums. You've got to hand it to Ripple here; they are forging their own path through a jungle thick with the vines of uncertainty, and are carving their own path carefully. You can sense their thoughtfulness with how deliberate the information is on their official website - it's enough to explain the basics and yet leave some of the implementation details in flux. My hope is that we'll see more information published about different tiers or methods of implementation of each solution; I would love to see even small businesses be able to use some of their solutions such as xVia. What a name! For me, it brings to mind the integration of AI with smart contracts and the XRP Ledger. Who knows? Perhaps someday we'll see something like that. For now, it's the name of XRP's smart contract platform. 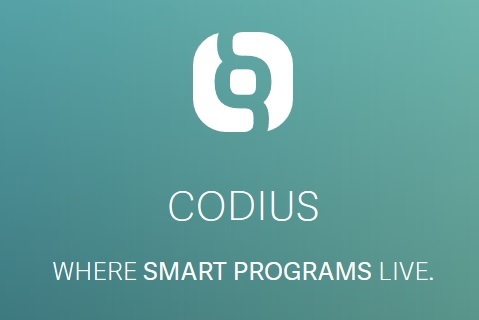 Codius enables peer-to-peer hosting, decentralized applications (DApps), and of course smart contracts. As 2018 rolls forward, expect to see many applications build using Codius, and expect to see many banking and financial institution use it for smart contracts. While XRP and xRapid will grab the imagination of the general public and the banking industry, Codius has the ability to supercharge interest from the developer community. When developers start to put out applications on the Codius platform, expect to see some interesting developments - it is ILP-enabled, and can communicate with any other ledger that supports ILP.20 Right away, I'm imagining things like a decentralized trade platform, or perhaps other financial tools to speed global commerce. When do we expect Codius to make a major impact? Stefan Thomas recently announced Ripple's focus on smart contracts and the continued development of Codius and its capabilities.21 This is especially intriguing, given the fact that Ripple can easily and quickly promote new code to build out the value for smart contracts. Even though Codius can be used as-is, we'll be eagerly awaiting each new capability and feature that Ripple adds to the list. If we see progress somewhere along this timeline, I think it will be aggressive but possible. I anticipate that Ripple might accelerate even this timeline if it deems that the demand for smart contracts is intense. Codius is available now, but I think Ripple will continue to build out its functionality during 2018. Yes, the XRP Ledger can handle 1,500 Transactions Per Second (TPS).22 Yes, this dwarfs Bitcoin. But what's more astonishing is that part of the XRP Ledger code is for something called "payment channels." 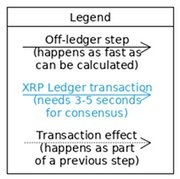 This is a method where a transaction is summarized and then communicated to the XRP ledger, and in the meantime, the originator of the transaction can process as many transactions as it would like before that summation.23 It's a method that is generally known as "off-ledger" processing. This off-ledger processing can easily bring the XRP Ledger far above the speed of traditional centralized databases for payment processors such as VISA. In initial tests of Payment Channels, the XRP Ledger was able to hit speeds of over 70,000 TPS.24 That is blazing speed. Why am I so excited by XRP Payment Channels for 2018? Because the ability to process micropayments opens the door to potentially a whole new industry. If you know the history of micropayments, then you know that they are typically a problem for current payment processors. I've written about how XRP transactions enables micropayments, due to the fact that, either on-ledger or off-ledger, the transaction fee for XRP is incredibly small. It actually now opens up transactions that used to be infeasible to process. 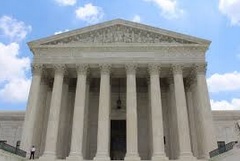 For example, some online advertisers have been wishing to attempt pay-per-view or other options online, but there was no payment service ideally suited to process these transactions at scale. Here we have one of the surprises of late 2018. I'll get to "why" I consider it a surprise in a moment; for now, let's define what I'm talking about. 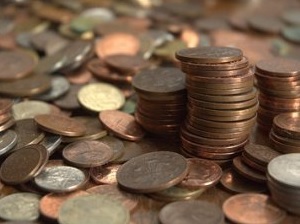 These are crypto-currencies that are constructed for one niche purpose - whatever that may be. Some are quite original and creative, with crypto-currencies targeting use cases for monetization of personal computer disk space, processing power, or other spare resources. On a personal note, I love these applications. Giving people the ability to make money based on their accumulated resources is an outstanding innovation, and I think it's a noble use of high-tech. "…on the Interledger front we are moving on from working on the protocol and are starting to look at early use cases. We’ll be challenging a lot of use cases for distributed protocols that are currently using custom tokens with much simpler solutions that use ILP/XRP instead. (Think custom communications protocols that are for one purpose only being disrupted by the Internet.)" For those that don't understand, I'll paint you a picture: Brad Garlinghouse once wrote an internal memo while at Yahoo, describing his dissatisfaction with how Yahoo was spreading its resources to thinly, like peanut butter spread too thinly. 29 Brad Garlinghouse is an incredibly-persuasive writer if you've never read his blogs or this memo; I recommend reading some of his material to understand why he was picked to head up Ripple. My point is this: For a man who emphasized the importance of company-wide focus and wise use of resources, he's not going to go after anything that isn't "Ripple-sized." So what are these specialty-token use cases that Stefan Thomas was referring to? Is it still just in the planning stages within Ripple, or are they actively pursuing one or more of these smaller markets just to prove out that XRP can successfully be used as a resource to meet the transaction needs of any purpose? Let's face it - if you are using an application that will give you credit for your unused computing resources - whatever they may be - would you rather be paid in XRP, or in a coin that you will then have to sell to get your hands on XRP? It's this convenience that will drive XRP's success in the specialty token arena. It's not talked about. That's how big it would be - one of the biggest news items ever in crypto; a central bank using one of the existing crypto-currencies. Even in online forums, when people talk about the market impact of a central bank, it's always 'in theory' or prefaced with some other caveat to indicate incredulity. Why? Because central banks are typically the source for not only fiat money for individual nations, but also because central banks can be very active monetary tools that influence entire global economies. As a writer, it's my job to explore certain possibilities, and I've never fully explored this one - the possibility of a central bank actually using the XRP Ledger. Is it so unrealistic to foresee a time when nations' central banks will purchase some amount of crypto-currency for the same reason? I think that time is quickly approaching, and I predict that some nations that are truly insightful will begin purchases of crypto-currency in 2018. I predict that one of the first crypto-currencies that they will purchase will be XRP. One of the reasons that crypto investors invest in XRP is because it's the only one of the top choices with a massive company behind it. While other crypto-currencies may have a non-profit organization that operates a website or attempts to provide a structure for promoting the adoption of the coin, they are normally neutral parties to the larger crypto market. Typically, these non-profit organizations are not very influential, as we've seen with Bitcoin or Ethereum. Code governance is a constant problem, and we've seen what happens with poor code governance; forks.32 It's happened with both Bitcoin and Ethereum. However, community-sponsored development is not out of the question, and there are many examples of small, one-off applications that seem to gain traction unexpectedly along the way, with thousands of fans or users. For XRP, there are plenty of opportunities for developers to add applications that could be immensely popular in the coming year. Will Reservoir take off in popularity? What about the XRP Tip Bot on Reddit? You never know. The next hit application could be just an idea in the head of somebody reading this sentence right now! 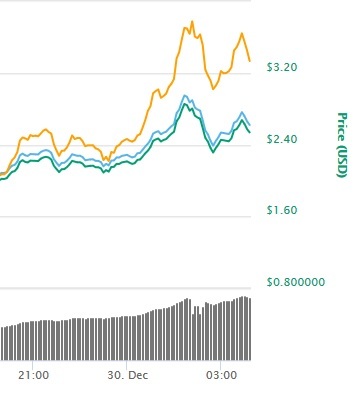 The crypto market is currently re-organizing itself to recognize the crypto-currency of the next generation; XRP. This is Ripple - transforming not just banking, but also working to bring financial inclusion to the unbanked. For XRP fans and investors, 2018 could be a pivotal year when XRP takes its place on the throne of crypto; how much will xRapid adoption power the digital asset's appreciation? We don't know yet, but if the end of 2017 is any indication, there is no artificial upper limit. The value of XRP will be the value that the market ascribes. Based on the value that Ripple, SBI, and the XRP Community plans to add in 2018, I predict that the price of XRP will surprise even the most battle-hardened crypto-currency traders.